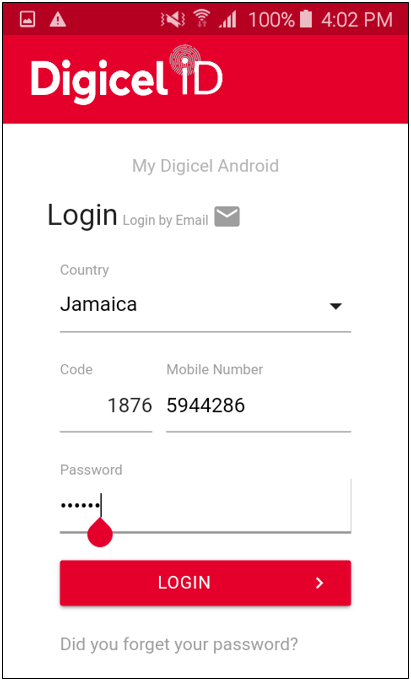 Use your Digicel ID if you forgot your password by clicking here. Step 1. From the login screen click on 'Did you forget your password' link. Step 2. On the forgot password screen, click 'Request to Reset'. Step 3. 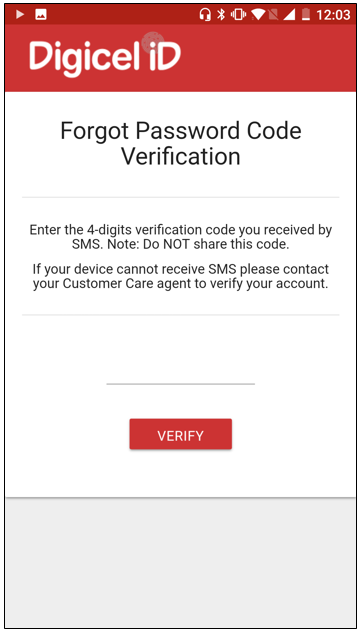 You will then be taken to the 'Forgot Password Code Verification' screen. 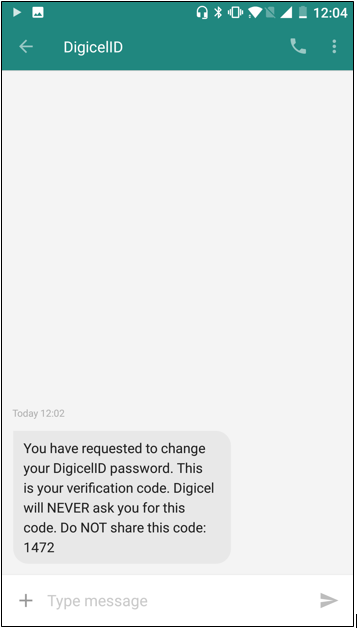 Here, put in the 4 digit verification code that will be sent to you via text. Step 4. 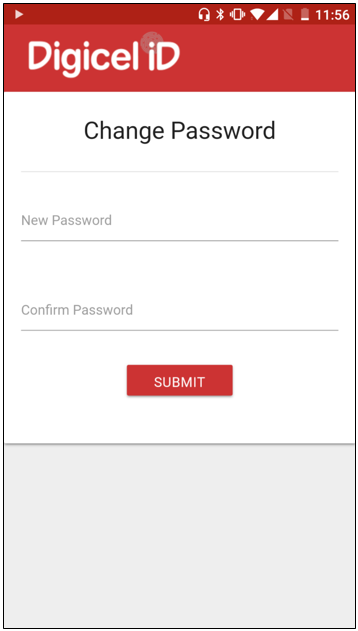 After entering the verification code you will be taken to the 'Change Password' Screen. 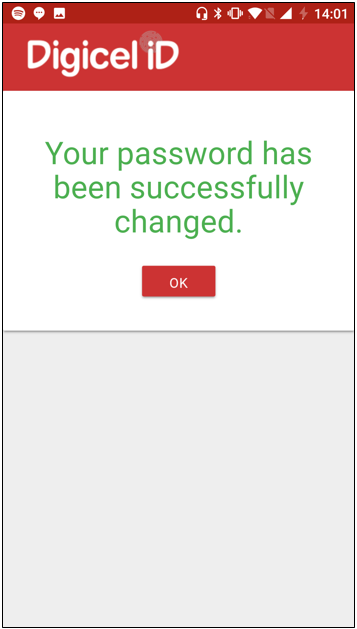 Here you enter a new password of your choice, and then re-enter the new password to confirm. Step 5. Close the app fully. 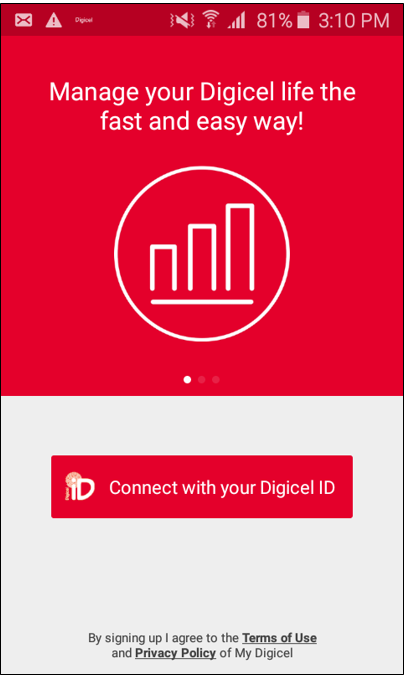 Reopen the app and click on the red ‘Connect with your Digicel ID’ button. 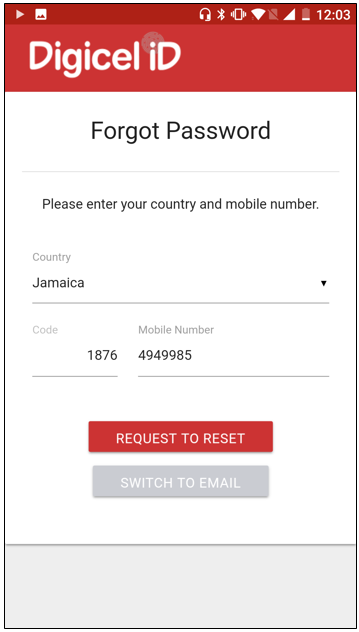 Enter your ‘Mobile Number’ and ‘New Password’. 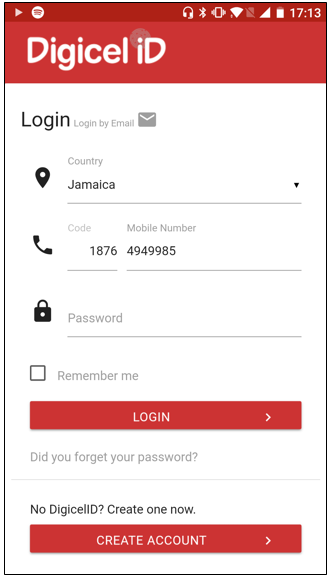 Click on ‘Login’. The Home Page will be displayed.